Essence of Argan is a natural and organic skin care product that uses argan oil, which has recently gained a lot of popularity and attention as the "liquid gold" from Morocco that has immense beauty and skin care benefits. 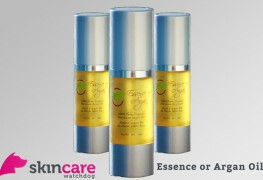 Because of the hype surrounding the product, we decided to take a look at Essence of Argan to see for ourselves whether it is a safe and effective skin care product to use. Report: Does Skin Detox Actually Work?